In high-precision construction projects, the efficiency and reliability of compressors is of the utmost importance. 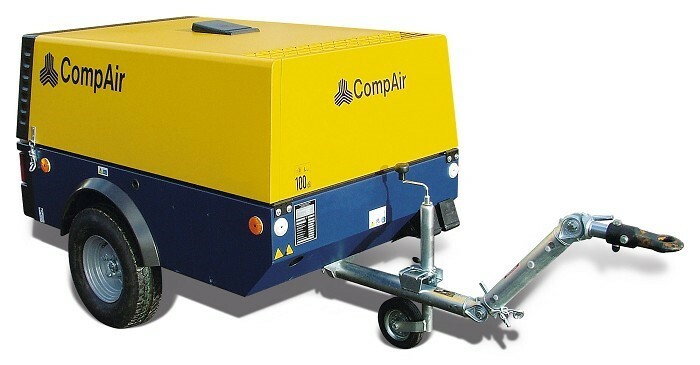 CompAir offers a wide range of portable compressors, with a reputation within the industry for the highest quality and reliability, which meet the requirements of numerous mobile compressed air applications. The C-Series from CompAir is constantly evolving and guarantees high energy efficiency, low emissions and many other innovations, which make daily operations and maintenance tasks much easier. Air Energy offers the full range of CompAir C-Series Portable Compressors. You can download the product brochure below. Download the C-Series product brochure. Interested in the CompAir C-Series range of portable compressors?